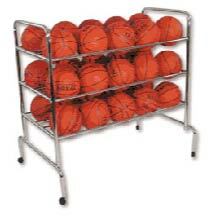 Wide Ball Rack (Ball Racks) - Yuan Chi Sports Enterprise co., Ltd.
Our high quality, top of the line, wide ball rack is made durable with its heavy-duty chromed steel tubing. 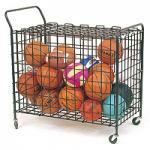 Holds up to 30 basketballs, soccer balls, volleyballs and more. 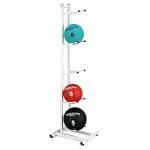 With our four non-marring hard rubber casters spread out to create a wide, no-topple base. 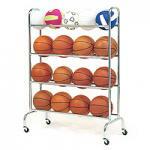 This design provides you with convenient storage, and easy mobility.